Colloidal silver is probably mankind’s oldest natural anti-biotic and anti-viral. As its use has increased in popularity in recent years with each new scare of a plague or pandemic, so has the controversy about its effectiveness, how to use it and how much to use. For those of you who are looking for an article packed with scientific jargon and molecular theory, “this won’t be it.” This article is intended to be nothing more or less than my own experience from many years of using and producing colloidal silver. It also includes my personal observations and my knowledge of the experience of others in the effective and common sense use of colloidal silver. Most colloidal silver producers claim their products are “silver bullets” in the fight against everything from common cold germs to the Ebola virus. Opposing views claim that it is nothing but junk science quackery and often little more than “silver tongued” misinformation. But the truly misinformed are the often well-educated mainstream thinking individuals who narrow-mindedly dismiss, not only the long historical use, but the hard science behind colloidal silver in the fight against pathogens. DOES COLLOIDAL SILVER REALLY KILL GERMS? By far the most frequent questions we receive here at Utopia Silver concerning colloidal silver are, “Does colloidal silver really work to kill germs?” and “How much colloidal silver must I use for it to be effective?” The first question is a moot point in any real world science; the mineral silver kills one-celled organisms (germs), period. This is not opinion; it is simply fact based first of all on long historical use that is as well known as is the fact that Columbus sailed to America in 1492 or that George Washington was the first American President. Any statement to the contrary is where the real misinformation, quackery, and lack of science truly lies. This opinion is primarily the domain of the “medicine mafia” trying their damnedest to discredit colloidal silver in order to protect their own unsafe and more often than not ineffective ‘medicines’. These attempts to discredit colloidal silver deserve the same attention as does someone claiming that planet Earth is shaped like a sugar cube. The effective use of colloidal silver (silver particles suspended in a liquid medium) and other silver products such as ionic silver, mild silver protein, and chemical silvers cannot be uniformly defined as to ‘what is an effective amount to use’ to fit every person, every situation, every ailment. It is also impossible to know what is an adequate maintenance amount for everyone in every situation. The amounts of colloidal silver that can boost and enhance the body’s immune system over time, such as the often recommended one to three teaspoons per day, are generally not enough for therapeutic use if one is trying to heal an issue such as Hep-C, Crohn’s or even food poisoning, a cold, or influenza. I have found that regular ‘maintenance’ amounts of colloidal silver up to ¼ oz. per day tends to boost the immune system against catching everything that may be going around, but certainly does not preclude one from catching anything at all. The truth is, an occasional manageable cold or virus is not necessarily a bad thing, because these also serve to boost the body’s immune system. Having said that, with the regular use of colloidal silver a greater degree of immunity can be developed from frequent and debilitating infections or at the very least, they become much milder and of shorter duration. So how much colloidal silver is necessary to do what we want it to do, which is either ‘to boost our immune system to keep us from getting sick (or not as sick) or to heal us of some more serious condition? For the past 7-8 years, there has been more respiratory illness going around than I have ever seen. They range from viruses to flu-like symptoms to bronchial and respiratory infections and I have been exposed to them all. Although I have had mild symptoms of sinus issues 4-5 times during this period, I have yet to catch a full-blown case of anything that would cause me great discomfort. Besides giving thanks to God, I must credit colloidal silver along with a healthy diet and a good regimen of mineral and vitamin supplementation. 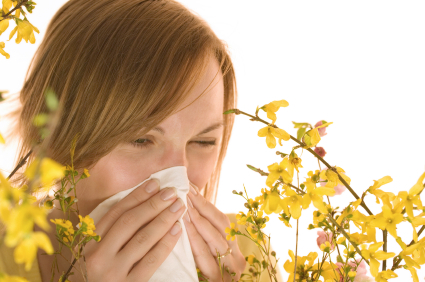 Here in the South Texas Hill Country, many people have seasonal battles with allergies from juniper and oak pollens. There are people who have had allergies all their lives and at certain times of the year experience even cold and flu-like symptoms from these allergies and expect colloidal silver to eliminate their allergies. That is generally not going to happen. Although colloidal silver will alleviate the symptoms of infections and inflammation caused by allergies, it cannot cure the underlying allergy to plant pollens, pet dander, dust, or other non-microbial causes that may be chemical in nature. Allergy agents do tend to inflame and hyper-sensitize the sinus, bronchial, and lung tissues which in turn may then be more susceptible to bacterial and viral infections. This is where colloidal silver may be of significant benefit with allergies, but it can’t be expected to prevent the under-lying allergen causes. There is one extenuating circumstance that does exist; pollens and dust may be carriers of bacteria. In this case colloidal silver may serve to reduce allergy infections. I only advocate and recommend the common sense use of colloidal silver, which is silver particles suspended in water; or ionic silver, which is silver ions suspended in water or a combination of these products. Colloidal (particle) silver products are best for any condition in the stomach and beyond, because of the difficulty that ions have in surviving the hydrochloric acid in the stomach. But ionic silver products are just as good topically or any place that doesn’t have to pass thru the stomach. If you must use ionic silver orally, be sure and take it well before or after a meal so that the stomach acid level is at its lowest. I also believe that the sublingual use of colloidal silver or ionic silver is an effective way to get it into the bloodstream effectively. This is when the silver product is held in the mouth under the tongue for a time without swallowing, so that it can be absorbed directly into the bloodstream by way of the many small capillaries. Although any product containing silver will have anti-microbial benefits, I advise against the long-term or regular use of silver proteins, silver in saline solutions, silver nitrates, any silver produced with a chemical process, and any large particle or high PPM silver solution. Although they may not generally be labeled as salines, nitrates, or proteins, you can usually identify these products by their high PPM content. Such large particle solutions generally require high PPMs to be effective because the surface area of the volume of silver is marginal at best. The surface area of a particle is what comes into contact with the surrounding environment and causes the anti-microbial action. The inside of a large particle is simply wasted and quickly eliminated from the body or stored in the fatty tissue of the skin potentially causing Argyria. Imagine the particle surface area of a 55 gallon barrel of basketballs compared to the surface area of a barrel of BBs. Additionally, because of their large particle size, they require an animal or vegetable gelatin solution in order to keep them from settling out. These are the products that with long-term use have a very real chance of causing a skin discoloration condition called Argyria. I would certainly use these type products in an emergency for a short time if nothing else was available. But when low PPM nano-particle colloidal silver is available, there is simply no reason to have to deal with the potential skin discoloration that these other products may cause if overused. Even with those concerns, Argyria is extremely rare and contrary to what the propaganda media would lead you to believe, this condition develops only with prolonged and heavy use of the silver products noted above. True colloidal silver (silver particles electrically suspended by Brownian motion in distilled or de-ionized water) even with prolonged therapeutic use will not cause this condition. Certainly this rare cosmetic occurrence caused by high PPM chemically produced silver is not reason for anyone to be averse to using mankind’s safest and most effective natural germ-killer. After all, it is available in electrically produced low PPM suspensions that are true colloidal silvers. There are many minerals that you cannot live without, but almost all of them are toxic in excess or if the body is unable to properly break them down and assimilate them. We can’t live with iron, but it can be one of the most toxic and can do irreparable damage to the liver. Too much of the wrong kinds of calcium (such as calcium citrate) cannot be assimilated and can end up being stored in the joints causing Arthritis, in the tissue causing stiff muscles, or in the arteries causing clogging. Similar toxicities also exist with most minerals, including zinc, chromium, copper, and most others. When you read negative information about silver, which may be the safest of all minerals, you must follow the money to find the truth. In doing so you will find it stops in the dark back alleys of the world’s largest pharmaceutical companies. Antibiotics are one of their most profitable of patented “medicines” and they will not tolerate any competition from something as lowly and common as colloidal silver. We should be reasonable with anything we put into our bodies, even supplements; we can’t live without iron, but too much can cause liver failure. An aspirin or two will kill a headache, a bottle of aspirin can kill you. This holds true with anything you consume; there is a toxic effect level with almost all products. Iron and copper are essential for healthy bodies and their deficiencies can be devastating to the body’s chemistry, but there are levels at which they too can cause adverse effects. Plain water consumed excessively can cause death by diluting and depleting the body’s electrolytes. The bottom line is, when you consider the tens of thousands of deaths and organ failures caused by most over-the-counter (O-T-C) and other ‘FDA approved medicines and medicines’, any risk with colloidal silver pales in comparison to any OTC pain killer medicine. …back to the purpose of this article, which is to try to help develop a better grasp of effectively using colloidal silver. There is a minimal maintenance level of silver consumption at which our cells are able over time to develop a stronger immunity to germs, as is also true with a broad spectrum of minerals. But as with any other supplement, the effective amount needed can vary greatly from person to person, depending on individual body chemistry, body size, overall health, and lifestyle. The effective amount and maintenance requirements for sedentary individuals may not be adequate for more active people. As with all nutrients and minerals, they are constantly being depleted via sweating, urinating and stool elimination. A side note here: If you are that sedentary person, supplements alone will not be enough to overcome the bad health that will result from inactivity. But at the very least, colloidal silver can still reduce issues caused by microbes/germs. The unadulterated scientific fact is, colloidal silver kills germs; bacteria, virus, and fungi on contact; that no one can credibly deny. According to research by Beiersdorf the maker of Curad bandages and one of the world’s largest medical supply companies, “silver when brought into contact with germs inhibits their growth by deactivating their oxygen metabolism enzymes. In turn, this destroys the microbe’s cell membranes, stopping the replication of its DNA.” For therapeutic purposes, the silver key in the lock is bringing the colloidal silver particles into contact with the one-celled organisms causing the health problem. How easy or difficult that is depends on where the colloidal silver needs to go and how wide spread or systemic the microbial infection is. For issues in the ears, eyes, sinuses, throat, and the skin, it is very simple matter, because there is easy access to those places. For ear infections, a colloidal silver flush works very well by lying on your side or tilting your head and simply filling the ear with either colloidal silver or ionic silver. Even a few drops may work on mild ear infections. For the eyes, drops will usually do the trick, but for more serious infections, an eye wash cup to do a colloidal silver flush is best. In the case of cuts and abrasions you can apply directly to the damaged area and for a puncture, a plastic squeeze/mist sprayer bottle can be used to ‘pressure force’ colloidal silver into the puncture wound. Just a mild warning here; there are beneficial bacteria on the surface of the skin, just as there is in the digestive system, so any heavy use of or ‘flushing’ with colloidal silver should be specific to the affected area and should be short-term. If colloidal silver is overused, it can result in dry scaly and flakey epidermal layers by the die-off of beneficial bacteria. If you experience this, simply discontinue use for a short time and the skin will return to normal. Colloidal silver and ionic silver are both very effective in getting rid of most conditions of the gums and can be a powerful deterrent to cavities by rinsing the mouth after brushing. Believe it or not, the best tooth paste I’ve ever used is a soap, Utopia Naturals Silver Aloe Skin Care Bar, made with colloidal silver, Aloe Vera, plant minerals and essential oil of juniper (itself an anti-bacterial agent). This unorthodox sounding ‘tooth paste’ was recommended to me by a retired lawyer/engineer and now south Texas rancher friend. I had sent him several bars to use as skin therapy since he spends most of his time out-of-doors working his cattle and goats and gets lots of abrasions and wind and sun damage to his skin. A month or so later, he called me and told me the story of how he had cured his gum infections using the skin therapy soap and rinsing with colloidal silver. He said he had developed a persistent gum problem that nothing seemed to get rid of, but as he was reading the ingredients of the soap one night, he thought, “There’s nothing in here that could be harmful, so why not try it as ‘toothpaste’?” Within two weeks, his gum problems had cleared up. Now, I use nothing else, although I have improved his discovery a little by sprinkling a bit of baking soda on the soap before applying it to my toothbrush. Of course after brushing, I rinse with a small amount of colloidal silver. Since the subject of tooth care came up, I must also interject a short story here. In view of the fact that colloidal silver soap can be an effective tooth care product and colloidal silver is under attack by the EPA as a ‘pesticide’, we must take notice of the very real dangers of using fluoride. One of the most dangerous products people keep in their homes is toothpaste containing fluoride. A recent television episode of CSI had a homicide scenario where an adult female died from the ingestion of two tubes of fluoride toothpaste. For the average adult, one tube can cause death. This should scare the heck out of parents who have small children in their homes. This one example gives us an indication of the disregard for health and safety when it comes to ‘profit’ that dominates many large companies and their partners in crime, the FDA and the EPA. This dangerous poison is not only irresponsibly put into toothpaste, but is injected into the water supplies of many America cities without regard to scientific fact. As usual, when the force of government gets behind a toxic substance like fluoride, both the truth as well as public safety gets steamrolled. For sinus issues two of the most effective tools for using colloidal silver are a mist sprayer/squeeze bottle and better yet, a nebulizer. Most colds start in the nose and as soon as you feel that hot and scratchy sensation, get your mist sprayer and fill it half with colloidal silver so that with each squeeze, liquid and air mix to form a fine mist of colloidal silver. If you catch the cold before it creeps down the throat, you can often stop it in the sinuses with this economical little tool. But if a cold gets past the sinuses and down into the bronchial tubes or the lungs, the best piece of equipment for colloidal silver delivery is a nebulizer. A nebulizer is powered by a small but powerful compressor that produces a fine vapor of colloidal silver that is inhaled into the mouth and then exhaled thru the nose or vice-versa. For more advanced stages of congestion, 1-3 drops of Lobelia can also be added to the colloidal silver or to a little distilled water. Lobelia is an herb used as a natural respiratory and lung cleanser. Do not use chlorinated or fluorinated water for this purpose; use either pure colloidal silver or distilled water. The above topical and respiratory uses of colloidal silver are relatively easy to figure out, but it is the internal problems, such as Hep-C or Crohn’s that sometimes present a more difficult issue of ‘how much to use’. My only rule of thumb is this, I use whatever it takes to do the job and if that doesn’t work, I use a little more. My personal use of colloidal silver is simple, I brush my teeth with it in my soap and then I use about a ¼ ounce a day on normal days and if I feel that I’m catching a bug, I will hit it hard with ½ to 1 ounce every 3-4 hours until the symptoms are gone. I usually couple this with a gram of Vitamin C every 1-2 hours for 8-10 hours. It seldom takes me more than an 8-12 ounces of colloidal silver, but I find that most users of colloidal silver are way too timid about their silver use, whether for a cold or for more serious issues. We all have been intimidated by media disinformation into being scared of using effective quantities of colloidal silver, even for short periods of time. I do not advocate long-term heavy use of colloidal silver simply for maintenance purposes, but short-term heavy use will usually be the difference in how effective your colloidal silver therapy will be. The aggressive therapeutic use of colloidal silver seldom if ever has to be long-term. On the other hand, there are some more persistent problems that may take more time to resolve, such as Herpes or Candida. Even colloidal silver can have difficulty tracking down viruses (like Herpes) that tend to go dormant and hide in the base of the spine (Herpes Simplex II) or the joint of the jaw (Herpes Simplex I) and then travel along nerves rather than thru the bloodstream. Colloidal silver (particle silver) gets into the blood stream relatively easy when taken in volume, but has a much more difficult time getting to the tissue of the nerves. Candida, if it has become systemic and gotten into the bloodstream, may also require a much larger ‘volume’ of colloidal silver to bring it into contact with all the yeast spread throughout the body. Some of the easiest problems to heal with colloidal silver are of the stomach, the bladder, the kidneys, the liver and the intestinal tract. These are all areas where colloidal silver is the most effective since it is better able to survive the hydrochloric acid of the stomach and of the chloride environs of the body. Stomach, bladder, and kidney issues generally respond reasonably well to smaller amounts (a few teaspoons or tablespoons) of colloidal silver than does the intestines, colon, and liver because of their function in the digestive system. These last three generally require a multiple ounces depending of course on the severity of the problem. It is simply common sense; when there are systemic problems that are widespread in the body or if there are large numbers of microbes to deal with, it may require more colloidal silver to do the job. One cannot expect much results if trying to heal some issues with simply a teaspoon or two of colloidal silver, so don’t be afraid to use as much as you need for a short period of time. It is important to remember that with a heavier usage of colloidal silver, especially for more than a few days or a week, one should take Acidophilus and broad spectrum pro-biotics an hour or so afterwards to replenish the colon flora essential for proper digestion. Colloidal silver kills all bacteria/flora in the gut and has no built in programming to distinguish good bacteria from bad. That notion is simply a myth. Often times ‘bad bacteria’ is simply an overgrowth of what might otherwise be ‘good bacteria’. Such problems are often caused by the use of antibiotic medicines, which by the way are responsible for the deaths of thousands of people every year. Dr. Henry E. Simmons, former director of the FDA’s Bureau of Drugs, in 1972 Senate subcommittee hearings stated that antibiotics were, at that time, responsible for from 30,000 to 150,000 deaths. The numbers may be much higher now. Eating live culture yogurt is also a good option, but costs more than the bottled Probiotic supplements. I personally make a habit of consuming digestive enzymes, acidophilus, yogurt and probiotics every day regardless of how much colloidal silver I use. Proper digestion is key to the optimal absorption of nutrients and a strong immune system. I have received many questions concerning the shelf life of colloidal silver. Nano-particle colloidal silver lasts longer if stored at warmer temperatures. I have boiled colloidal silver on a stove and in a microwave and there seems to be no amount of heat that affects it. But cold is a different matter. If nano-particle colloidal silver is exposed to cold, even refrigerator cold, the particles can agglomerate, causing some color change. At temperatures near or below freezing, the particles will fall out all together. You will know this has happened because the liquid will become clear with a dark residue on the bottom. Ionic silver seems relatively unaffected by either heat or cold. Therefore warm temperatures are better for your nano-particle colloidal silver storage. To sum things up here in regard to the common sense use of colloidal silver, I am not addressing the use of so-called colloidal silver produced with chemical processes, silver nitrates, saline silver solutions, or silver in protein, or any high ppm or large particle silver. My recommendation is only for nano-particle colloidal silver produced electrically in distilled or de-ionized water. As noted earlier, I believe the use of ionic silver is very effective topically and in areas where it does not need to get into the bloodstream. Colloidal silver is by far the best for use inside the body where it must pass through the stomach or requires getting into the bloodstream to be effective. There are research references to the body having silver receptors cells. If this is true, then silver must be considered an essential mineral to the good health of the body. Regular maintenance use (1-3 teaspoons per day) will help to maintain some beneficial trace level of silver. If the intent is for a therapeutic use of colloidal silver, then much larger short-term servings may be required for effective results. Just remember, it is only the long-term abusive use of the wrong kinds of silver products that may over time produce rare issues, but aggressive short-term therapeutic use of nano-particle colloidal silver is simply not a problem. I have used colloidal silver almost daily for 10-12 years and I know few people healthier than I. So don’t let the propaganda of the Pharma-industrial complex and ‘government’ agencies such as the FDA and the EPA scare you away from what may be nature’s safest and most perfect natural anti-biotic and anti-viral. Colloidal silver may well turn out to be the world of tomorrow’s only hope against ever mutating and life threatening pathogens.